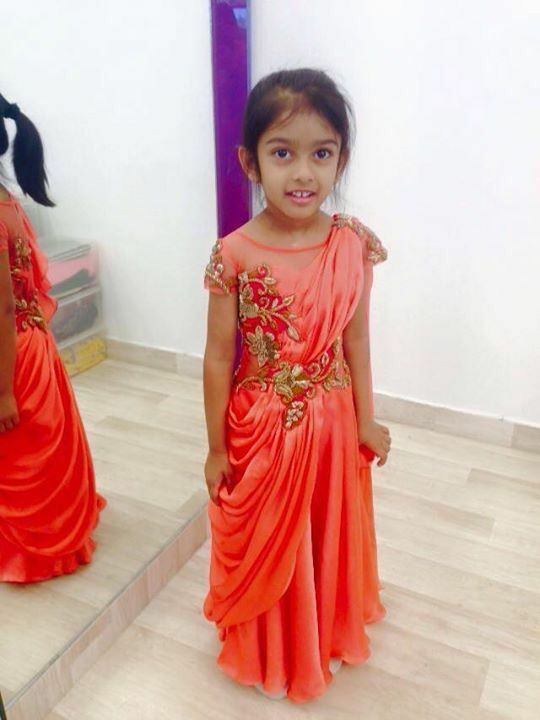 Today kids are more conscious of their looks and dressing style. 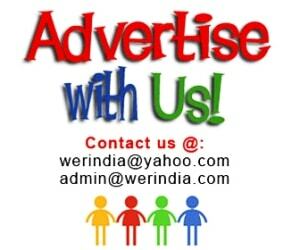 They are aware of the latest trends and want to dress smartly. 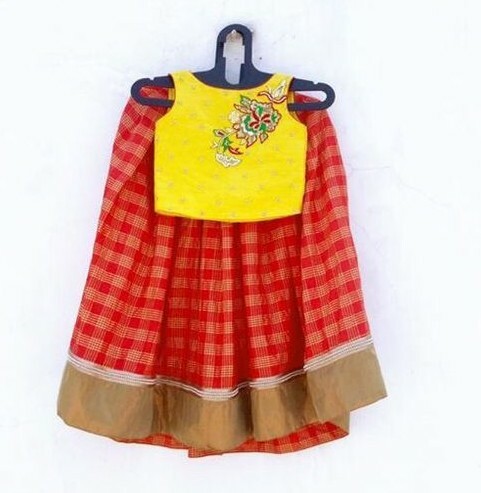 Since the festive and wedding season is around, here are few styles which you can choose for your girls…..
Embroidered Capes– Capes are not just for the grown ups but it is a serious trend for the kids too. Printed capes look good, but the embroidered ones will keep the festive mood alive. Pair it up with a plain dress underneath. 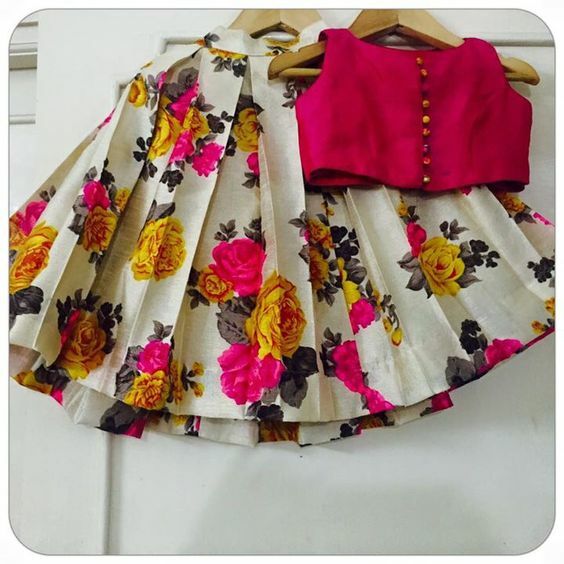 Peplum style lehngas or dresses– This style looks cute on kids and gives an extra volume at the top part which looks stylish as well. 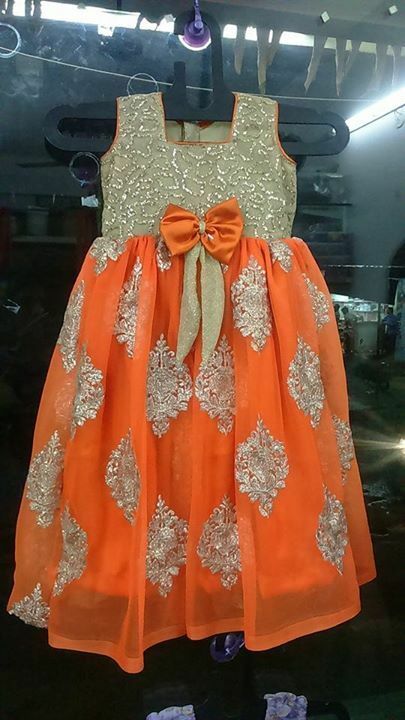 It can be worn separately as a lehnga choli, or as a one piece garment like a dress. Play with stripes and checks– Colorful checks can be paired up with plain embroidered top or with a printed choli. Prints like polka dots, hearts etc. 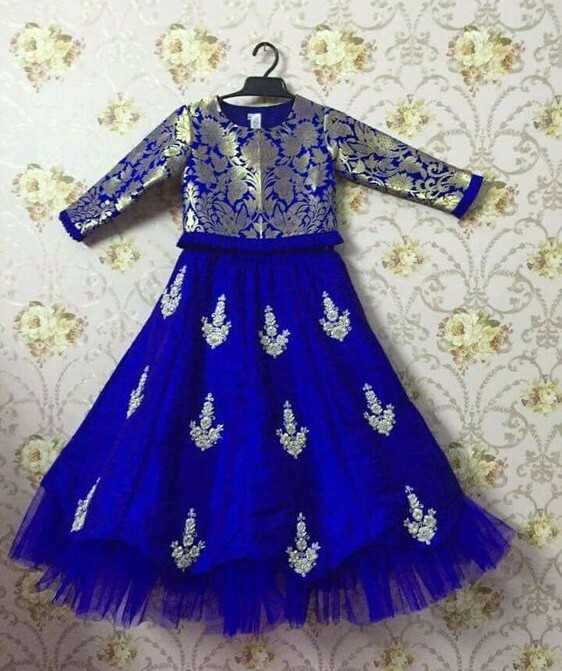 look good on kids. A little bit of embroidery highlight will pep up the look further. The dhoti style– Pair up a traditional dhoti with a peplm top or a short kurta. Dhoti is a traditional garment and looks perfect for a festive look and for traditional occasions. 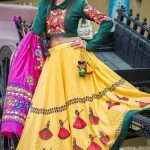 It is a good option if you do not want to settle down for the same old lehnga style and want to try something different. Brocade touch– Brocade is one of the richest fabric and looks good on everyone and can be done in many different styles. 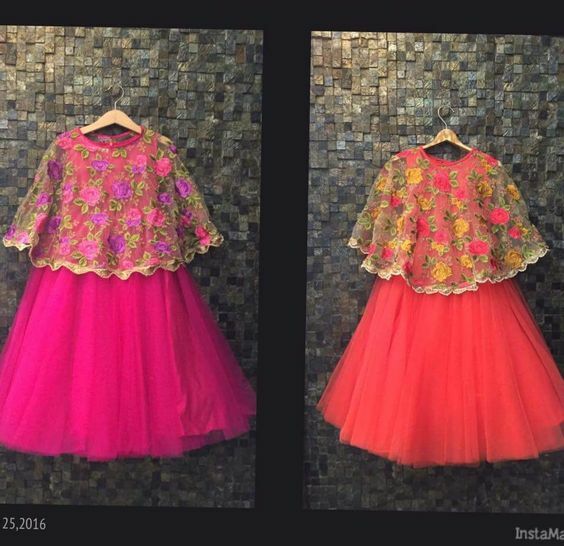 You can also convert one of your old brocade saree which you don’t know how to reuse, into a lehnga for your kid. The print story– Prints look great for a playful look, especially on kids. But always remember to choose prints with bright colors for them. Match it up with a plain top or you can reverse the look and go for a printed top and a bright plain skirt. 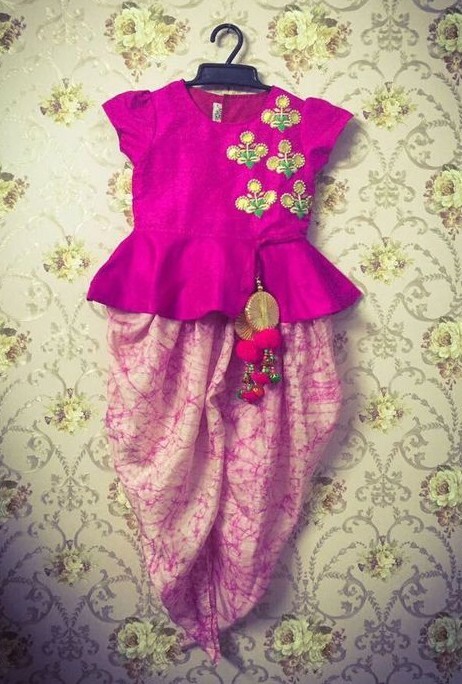 Draped Dress– If you want to try dress, then draped and embroidered dresses are in fashion, choose something like this for it. The bow style– We all remember wearing this style when we were kids, bows, belts, ruffles are an essential part of kids wear. 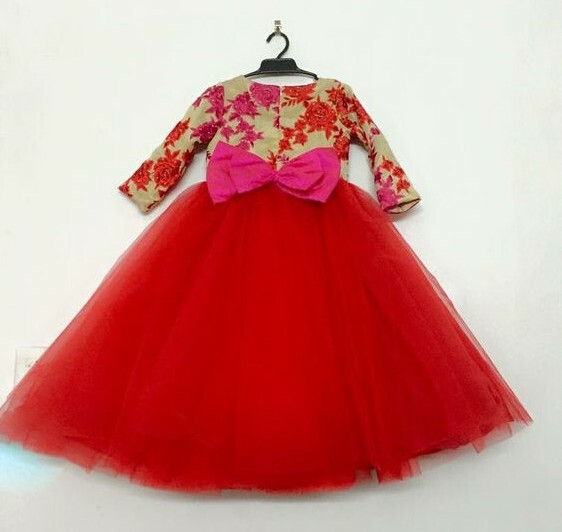 Add minute or exaggerated bows to dresses for the kids and they will turn up looking more stylish and cute.